The changing face of health care…can we afford it? 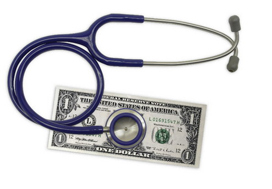 It is a well-known fact that health care cost continue to rise around the world. Despite any country’s best efforts, the burden to taxpayers to upkeep what was once considered “free health care” may be becoming unsustainable to the tax payer and respective Governments in the Caribbean. We are not rich, first world countries, we depend on a sound economy and on occasion the philanthropy of others. We are in a vicious cycle but a solution must be found. Most Caribbean governments started their health care system based on the philosophy of it being a social good. And while there is no dispute about the provision of quality healthcare being a “social good”, the reality is that it just may no longer be able to be free to all or a “free for all” as has been said by one Caribbean health minister. The reality is that health care or indeed education has never been “free”. Free education and health care in the Caribbean, in particular, has always been as a result of taxpayer contributions with subsidy from Government. The National Health Service (NHS) has had to undergo cuts in the UK much to the chagrin of tax paying citizens and the reality is no less vexing in the Caribbean but the reality suggests that the business model coupled with increasing non-communicable diseases (NCDs), unsustainable government-finance models and massive intake of patients with not enough space to provide for the same, health care was never “free” and is likely to now cost us more. Barbados is currently going through a process where the Hon. John Boyce has asked his Health Ministry to look at the private health care models of health care provision in that country to assist in coming up with a sustainable framework to run the Queen Elizabeth Hospital. The public is concerned that this is an omen that health care will never be free again. This is atop massive cuts to the hospital’s budget and an increase of seventy-five percent (75%) in private care as offered by the Queen Elizabeth Hospital. The reality is that coupled with the slashed budget, debt to creditors and the rising cost of health care, Barbados has found it difficult to cope with offering all health care services free to Barbadians. In a recent announcement, the QEH CEO had indicated that at-home dialysis will no longer be free and amidst drug shortages and other issues, the hospital is still delivering “quality health care”. This came under some criticism from the head of the island’s Barbados Association of Medical Practitioners Dr. Carlos Chase as well as the public and to some extent, some quarters suggest that the issue is being used as a political football. Would free health care be sustainable forever? I doubt it. We would want to support the provision of free health care to the most vulnerable, the elderly, the babies and certainly advocate means testing to determine who is able to pay for their health care and if this is the only way out of what seems to be a brewing storm in the health care industry in Barbados, then so be it until the economy begins to settle down. The question is, when will this be for Barbados and other struggling nations in the region? But this is easier said than done. The proper (and we are not suggesting otherwise) framework must be in place to means test individuals to access free healthcare while others may have to pay. The question remains whether the burden on the middle class to be taxed higher in general, to assist those of lesser means will work not only in the delivery of health care to the working class but whether the middle class can even pay for their own health care at all. Amidst a sad state of economic affairs in Barbados, the island has seen a triple in dengue cases, epidemic NCDs and the hospital is still being misused (Accident and Emergency) for non trauma cases when the island’s polyclinics are free for all to use. Then again, some are closed, some have no medication and so there seems to be a bit of a crisis in Barbados. We are confident that this can be resolved. While we say this, we are mindful that many public patients accessing free healthcare are experiencing shortages of various important and critical drugs according to the CEO and have to source the same at private pharmacies at great cost. While many are crunching numbers worldwide to get their economies back on track, health care and the delivery of the same to humans is quite another issue. Humans are not statistics, we get ill, and we need to live with some quality to go about our daily duties independently. The QEH is not unlike other hospitals struggling with the rising cost of health care worldwide and Barbados is not unlike its neighbours who struggle with economic issues so much so that St. Lucia is imposing a 70% tariff on imports from Barbados. This action requires diplomacy as do discussions on the situation in health care. Perhaps, we need to relook how we see healthcare, not so much as a social good but a service that we must now pay for…perhaps not. The answer is not an easy one by any means. Before we rush to judgment on the issues at QEH or any regional hospital, perhaps we need a think-tank and serious discussions on the financing of healthcare with our regional Ministers rolling up their sleeves and spending as many days or weeks as required to look for solution-based answers to how to provide health care to those who need it most. Invariably, they are the poorest among us. A serious discussion on health care in our region must begin, not at a cocktail party or ground breaking ceremony but at the Heads of Government meetings, through networking, information-sharing, knowledge transfer and whatsoever will get the ball rolling to ensure that in the face of any public health disaster or even in the face of the NCD epidemic, we as a region are able to help our people get back to good health.